SNG President and CEO, Andrew Garnett remarked: "We hope to have to have all ships serving the North American Travel Agent Distribution System loaded on our site by the end of the year. We are working closely with the Lines' Access Departments to insure content integrity. When completed, it will represent the most robust, singular content source for Accessible and Special Needs content for Sellers of Cruises. All individual ship features, services, etc...that are meaningful and essential to this Client segment are listed in a user-friendly format." Garnett concluded: "We have fleets of Celebrity Cruises and Azamara Club Cruises slated for release dates of July 22 and 29th, respectively. 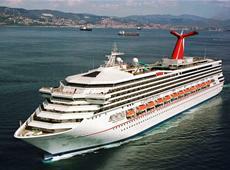 Additional Cruise Line release dates will be announced in early August". This item was written by Johanna Jainchill, who covers the travel industry for Travel Weekly. Jainchill is serving as Guest Editor of The Cruise Log while USA TODAY Cruise Editor Gene Sloan is away. An advocate for travelers with disabilities said that the recent mishap between Carnival Cruise Lines and a passenger's dialysis machine is a lesson that travelers should always keep medical equipment on their person. As several Florida news outlets reported this week, a South Florida family was escorted off a Carnival ship last Saturday after the cruise line was not able locate one of the family members' dialysis machine. According to a report on Local10.com, Lillian Hensley, her disabled daughter, her son and son's wife were all supposed to be on a five-day Carnival cruise from Miami this week, but instead were asked to disembark before it departed because the daughter's dialysis equipment was not located. Hensley's daughter requires nightly dialysis, the report said, and Hensley received clearance from Carnival to bring a portable dialysis machine on board. Hensley said she she checked the equipment with the rest of her luggage and boarded the ship. Carnival said that Hensley had advised the line that she would be bringing medical supplies, but that she would hand-carry them onto the ship, "per Carnival's standard procedures in these cases. The Access Class 2012 Combined World and International Championships will be hosted by Australia's Middle Harbour Yacht Club from April 7-13 next year and the event is expected to attract over 120 disabled sailors from 12 countries. Over the past 15 years, the Class has gained a strong following in Australia with very active support being provided by the Sailability organisation working in close alliance with established sailing clubs. International Access Class Association President, Terry Peek said, "The IACA is delighted that Middle Harbour Yacht Club will be hosting the 2012 Worlds. The venue is outstanding and overseas visitors will really enjoy the club facilities, the beautiful Middle Harbour waterway, the local area and all that Sydney has to offer. The open class is open to competitors of all levels of ability, providing one of the few sporting arenas where disabled athletes compete "ON EQUAL TERMS" with able bodied athletes. There's a long-standing debate among river cruise operators and sellers about whether river cruising is a friendly form of travel for the disabled. The issue surfaced again during a river cruise and small-ship seminar at the 2011 Travel Weekly LeisureWorld and Home Based Travel Agent Show and Conference in Las Vegas, Feb. 15 to 17. Happy St Patrick's Day sailors! At Access Tourism NZ read about new guidelines making maritime travel more accessible for people with disabilities published by Ireland's Department of Transportation and the National Disability Authority (NDA). Medical Situations: Any physical disability or medical condition that requires special treatment or medical apparatus must be reported to the company's Reservations Manager in writing along with the first deposit, which is due at time of booking. These include, but are not limited to, wheelchairs, oxygen therapy, dialysis, guide dogs, etc. Failure to disclose a medical situation at time of booking may result in your being denied boarding at port of embarkation. Trying to accommodate a demographic with "special (sic) needs" begins with succeeding at understanding the psychographics of that market. Leaving today, 10th December 2009, Geoff Holt embarks on Personal Atlantic, setting sail on a 60ft, purpose-built, wheelchair-accessible catamaran on a voyage across the Atlantic Ocean. The 3,000 mile journey will take him up to a month to complete, across some of the most hostile waters in the world. In completing his Challenge, Geoff Holt will become the first quadriplegic to make the journey, unassisted in every aspect of the sailing. Having sailed the Atlantic Ocean three times before an accident in 1984 which left Geoff confined to a wheelchair, this will be an emotional voyage for Geoff Holt as he attempts the journey for the first time as a disabled yachtsman. But his overriding desire in attempting the voyage, is to inspire others to do something positive with their lives. As Geoff says, "It's not about being disabled. It's not about sailing the Atlantic Ocean. It's about demonstrating that disability need not be a barrier to achieving something positive in your life"
It will be a matter of complex logistics for the shore-based support team and a feat of personal endurance and sailing skills for Geoff. Although both physically able to navigate and sail the boat competently, Geoff is unable to look after his own physical requirements. He can not get himself out of his wheelchair to sleep, to use the loo or to shower without help. To overcome this, Geoff will be accompanied on the voyage by a professional, medically trained carer to aid him with the physical aspects of his life. The carer will play no part in the sailing of the yacht. By Andrew Garnett, founder Special Needs Group, Inc.
Royal Caribbean International's (RCI) much anticipated next generation cruise ship, the Oasis of the Seas is ready for passengers. Rising sixteen decks high, she is the largest vessel afloat---and among the most accessible. We toured the ship recently and can report first hand that the Oasis of the Seas offers the largest number of accessible staterooms of any ship, a total of 46. For the newer ships in the fleet, RCI has consistently maintained a standard of 1.7 percent of all staterooms designated as accessible, the highest percentage in the industry. Wider doorways, roll-in showers, grab bars and other assistive features ensure barrier-free vacations for guests. We especially like the fact that on the Oasis of the Seas, accessible staterooms are distributed throughout the decks, ensuring ample choices for location and category. One of the more deluxe choices is the ultra-modern, two-story Crown Loft Suite measuring 737 square feet--substantially larger than its non-accessible counterparts--and equipped with an elevator to transport guests between the upper and lower floors of the loft. Of the 46 accessible staterooms on the Oasis of the Seas, 33 have balconies; eight with Central Park or Boardwalk views. Since most persons with disabilities travel with others, RCI designed half of the accessible staterooms on the Oasis of the Seas to accommodate more than two people. The ample number of family suites and adjoining staterooms facilitates multi-generational travel, a growing cruise trend. Twenty-two percent of all accessible staterooms connect to an adjacent non-accessible stateroom. There are 24 dining venues onboard the Oasis of the Seas, all designed to accommodate guests in wheelchairs. Viewing space in lounges and theatres, including the ice rink, are configured for wheelchairs, as are card gaming tables in the casino. For those using "wheels" who want to ride the first Carousel at sea, there's a ramp to help you do just that. As on every RCI vessel, at least one pool and one whirlpool have lifts. The ship's ease of accessibility is inviting news for travelers with limited mobility, and even those passengers who may not use wheelchairs or scooters at home, including show walkers, may want these aides to help navigate the Oasis of the Seas --she measures 1,184 feet from bow to stern. When the Oasis of the Seas visits port and RCI's private islands it's easy to roll off/roll on via the gangway ramp for those in wheelchairs or on power scooters. No tendering. The Oasis of the Seas and her staff effectively accommodate guests with physical disabilities relating to hearing, vision, breathing problems and other limitations. Like all vessels in the Royal Caribbean International fleet, the Oasis of the Seas is outfitted for people who are blind or have low vision. Menus, daily activity schedules and ship directories are available in both Braille and large print. Braille signage, including stateroom numbers and elevator information is a standard RCI feature. Your fingertips can even identify which deck you are on via Braille deck numbers on the staircases. The ship provides a 4 x 4 foot relief box for service animals. State-of-the art, advanced technologies for people who are deaf and hard of hearing are available in staterooms and public rooms. If you are traveling with oxygen, the Oasis of the Seas welcomes all types onboard. Just alert the cruise line in advance of the quantity and type, and the method of delivery. "Our goal is to allow persons with disabilities to enjoy a complete vacation experience," according to RCI spokespersons. As a preferred supplier for Royal Caribbean International, Special Needs at Sea / Special Needs Group is proud to help support the goal of a complete vacation experience for persons with disabilities. In fact, echoing a statement by Ron Pettit, Access Manager of RCI, taking a cruise onboard the new Oasis of the Seas is a chance to take a vacation from disability. Welcome, Oasis of the Seas. We are glad this ship has come in. Andrew J. Garnett is the founder and CEO of Special Needs at Sea/Special Needs Group., Inc. He is passionate about dissolving barriers and dedicated to helping persons with disabilities travel the world. Special Needs at Sea/Special Needs Group Inc. is a member of CLIA, OSSN and FCCA and a sponsor of SATH. "A very nice trip, also good suitable for wheelchair users. With good exotic food and fantastic music and dancers. " Social Interaction: Small environment/cockpit requiring close interaction. Helps counter physical and social boundaries and improves physical and emotional comfort in small spaces. Teamwork: Team building and collaboration. Participants encouraged to actively crew the boat to the best of their ability. Participants must cooperate to assist in pulling the lines, wrapping them around the winches and securing them. Learn importance of cooperation for man-overboard procedure. Cooperative environment of everyone having a job on the boat. Communication/Comprehension: Ability to listen to instructions and follow procedure. Communication required between crew and captain to identify and name potential hazards and to navigate. Motor Skills/Coordination: Eye-hand coordination to hoist sail or pull lines. Balance when ambulating around the boat, using hand holds. Visual stimulation to watch for hazards, and align boat with object in distance/horizon while steering. Environmental awareness: Appreciation of nature and waterways. Observation and interaction with wildlife including birds/fish/mammals. Understanding of effects of pollution on environment and species. Relaxation: Reduced noise stimuli: primarily rhythmic sounds of waves lapping the hull and wind in sails. Rhythmic movement of boat is also comforting, yet heeling provides excitement. Concentration/Focus: children with limited ability to sit still or concentrate are able to focus on tasks on boat and are visibly calmer, relaxed and focused. Ability increases to concentrate on task(s). Adventure/Exploration/Imagination: Children dream of being explorers, pirates, etc. Opens up the world to them. Encourages imagination. International program and virtual programs provide opportunities to learn about faraway places. For more information about Heart of Sailing or to learn how you can help, please visit www.heartofsailing.org. Complete the "Contact Us" form. Call us at 1(866) 368-5350 or 1(812) 935-SAIL (7245). Fax us at 1(866) 609-0807 or 1(812) 339-5595. Or e-mail us at info@heartofsailing.org. As a supplier of oxygen and other special needs equipment for travelers, I see first hand the uncertainty and confusion regarding traveling with oxygen, especially the rules and regulations for dealing with cylinders or other forms of portable oxygen on a cruise. Like everything in life, cruising with oxygen is simple, once you know the guidelines. After almost a decade of working with cruise ships and accessibility, here's what I've learned that can ensure smooth sailing for anyone traveling with oxygen. All cruise lines welcome oxygen onboard. However, each line has specific guidelines or requirements for guests to follow. Princess Cruises requires a prescription, or note from your doctor with a diagnosis of your breathing problem and the prescribed dosage and flow rate. You are required to have this at least 30 days prior to sailing. Some lines also require, or suggest, that you have a release form from your doctor. We think it is a good idea for anyone traveling to have medical clearance. Complying with paperwork and meeting specification can take time, so it is always a good idea to begin planning early and to contact the medical or access/special needs department of your cruise line at least three to four weeks before your sailing date. It is important that you have enough oxygen for the entire voyage. To help you calculate, assume you will spend 10 to 12 hours per day out of your cabin; that's the average based on statistics and feedback from our customers. You do not want to end up confined to your stateroom because you do not have enough portable oxygen. Keep in mind, you will not be able to "pack" your equipment in, or with, your luggage. Cruise line policy states that you are permitted to bring your own equipment with you. However, you must bring it onboard yourself. They will not be held responsible for any missing equipment or for damages. In fact, you could be held liable if anyone were to get injured by it. So, don't try to sneak it on in your luggage. Why worry about the possibility that your equipment won't make it in one piece? Special Needs Group/Special Needs at Sea delivers directly to cruise ships at ports around the world and works closely with almost every major cruise line. We can handle all the details for you. The oxygen will be delivered in accordance with the line's requirements, and you can then carry the oxygen with you as you navigate the ship. Importantly, learn everything you need to know about your portable equipment before you leave on your trip. The middle of the ocean is not the place to start figuring out how things operate. In working with and talking to the major cruise lines, the only universal restriction they have for passengers using oxygen on board ships is to avoid smoking and stay away from any areas where others are smoking. There may also be limitations on taking certain quantities of oxygen on certain shore excursions. This is best confirmed and handled with your cruise line when you book. So start planning, and get packing to enjoy your cruise. ABOUT SPECIAL NEEDS GROUP, INC. Special Needs Group, Inc. (www.specialneedsgroup.com) is a one-stop resource for special needs travel around the world. We offer a broad range of special needs equipment including wheelchair, powerchair and scooter rentals with capabilities to support 500 pounds or more; oxygen rentals (liquid, cylinder, and concentrator); hearing impaired equipment, Braille printing, baby cribs and more. Recommended by the world's major cruise lines and hotels for superior service and value, we also provide consultation services regarding special needs policy and new-build design. Special Needs Group, a U.S. company, is not a travel agency and does not compete in any way with travel agents.